A BLUE ZONES Community is one where healthy choices are easier to make and people live longer, better lives. Since 2014, Fort Worth has undergone a neighborhood by neighborhood transformation, improving well-being through permanent changes to our built environment, policy, and social networks. Hundreds of organizations and individuals have partnered together to create a cultural shift and environmental change. Thank you, Fort Worth. Because of you, we’re a BLUE ZONES Community, a BETTER Community! 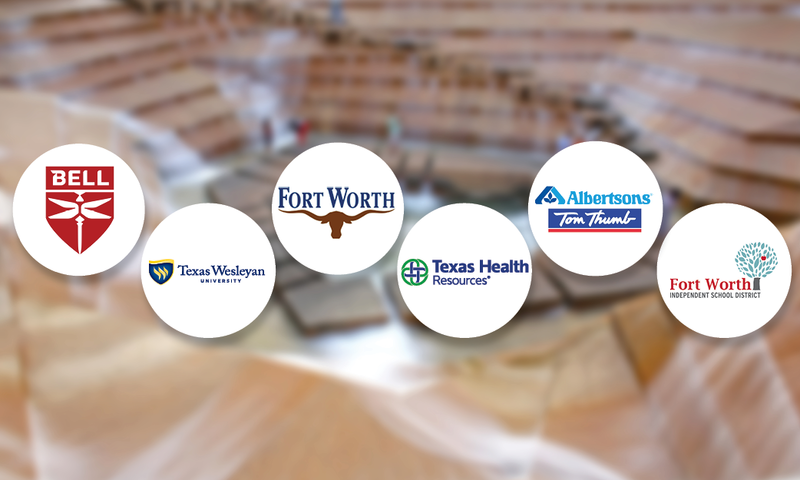 And more residents than ever agree that Fort Worth is the perfect place for them. That’s BIG news, indeed. And there’s more to come! 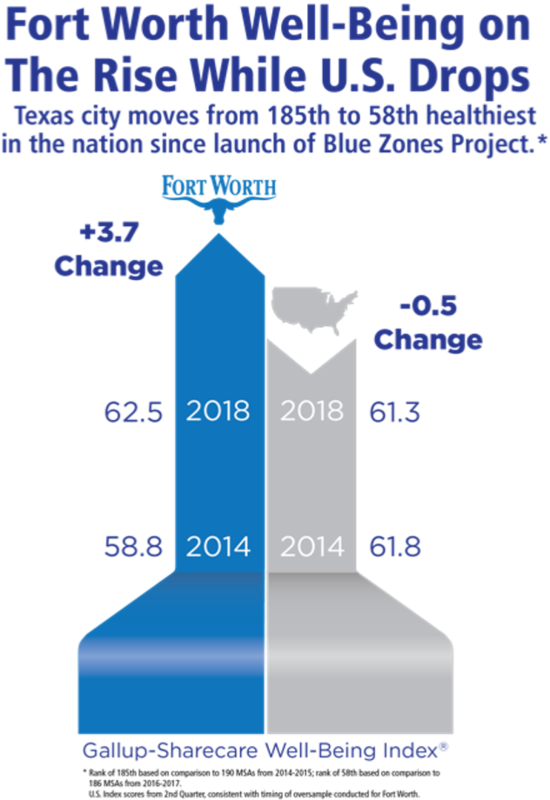 Blue Zones Project works with all sectors of our community to improve well-being where we live, work, and play. Worksites, schools, restaurants, grocery stores, faith-based communities, and local organizations and associations can all play a role, ensuring our city’s well-being continues to rise. Contact us about becoming a Blue Zones Project Approved™ organization. Want to know the secrets of the world’s longest-lived people? 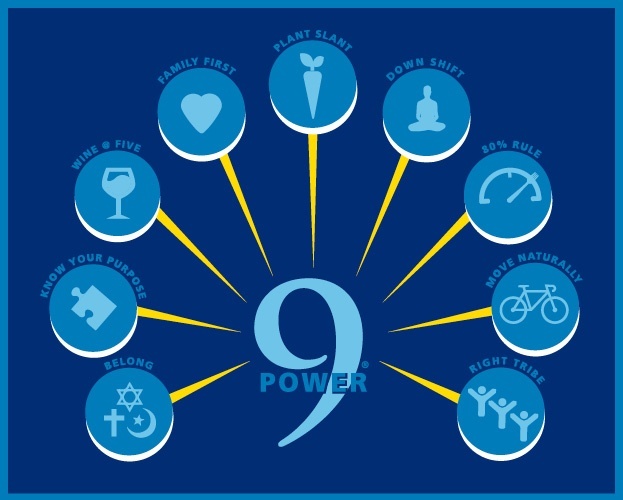 Follow the Power 9® -- nine simple principles at the core of Blue Zones Project. Discover how some Fort Worth residents are following these principles for living longer and better, and find other resources for living a Blue Zones-inspired life. ©2019 Sharecare Inc. All rights reserved. This website contains copyrighted material of Blue Zones, LLC and Sharecare, Inc.